In this issue of Horse International’s Legal and Veterinary Journal we take a look with our readership into cloning of horses and its legal implications. This article provides useful overview on the approach adopted within various jurisdiction worldwide approach cloning. In 2012 the FEI lifted the ban on cloned horses in international competition. Almost a decade after the first cloned horse was born in Italy, Promotea. As the FEI permits clones to compete, it is interesting to look at the legal aspects of cloning. 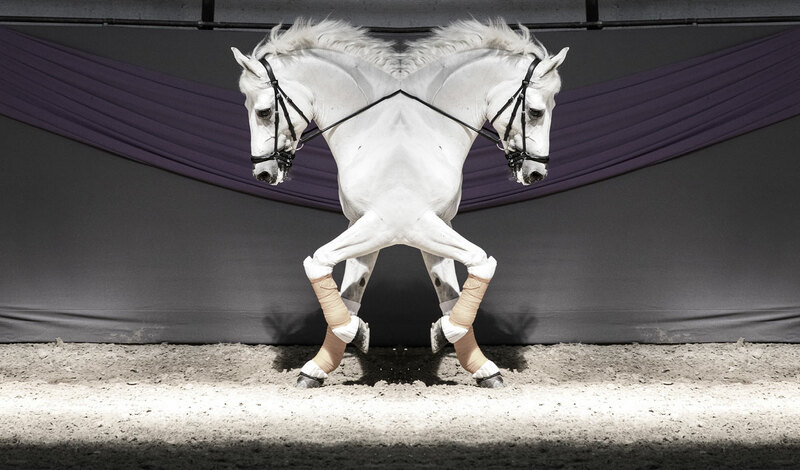 Cloning opens new and unexplored possibilities for the equine businesses. So the questions raise which jurisdictions allow cloning and which jurisdictions not? Is it possible to register a cloned horse with the studbook or not? In 2013 the European Commission finalized a draft directive in which cloning of five animal species for food, including horses, will be banned. According to the Parliament it should have the form of a regulation, directly applicable in all member states and not only cloning for food purposes should be banned, but cloning for all purposes and also the sale of cloned livestock, theirs offspring, and products derived from them. Despite the fact that the first cloned horse was born in Italy, this will mean the end of legal horse clones in the EU. As a result there is currently no European legislation on this subject, leaving the decision whether cloning of horses is allowed or not to the member states. How long this situation will last is unclear, as well it is unclear whether the view of the European Parliament will change throughout the years or not. According to Dutch legislation cloning of all animals, including horses, exclusively for sport purposes or leisure is not allowed (article 2.23 of the Law on Animals). When the cloning is not exclusively for this purpose one can try to obtain a license from the Minster of Economic Affairs. According to our information such a license request is not yet filed with or granted by the Minister of Economic Affairs. The US has a far more, if not the most, liberal view on cloning: in 2008 the FDA (US Food & Drug Administration) published an extensive research report on cloning animals. The main conclusion: cloning poses no unique risks to animal health. Reason why the federal government did not see a reason to impose federal legislation banning cloning. As a result cloning of horses is allowed in the US as we did not find any state banning the cloning of animals. According to our information cloning in France is still allowed. Also in Asian countries like China it seems there is no ban on cloning. Also the UK allows cloning for non-food purposes on a license basis. According to the information of legal experts in the UK when effectuating the Brexit the plan is to lift the restrictions on cloning fully, so no license is necessary. The view of most studbooks on cloning evolved throughout the years, some of them triggered by the decision of the FEI. Studbooks which allow the registry of cloned horses include the KWPN (Dutch Warmblood), the BWP (Belgium Warmblood), Zangersheide, Holsteiner Verbands, World Breeding Federation of Sports Horses (WBFSH), and the Continental Studbook USA. The American Quarter Horse Association (AQHA) as well as the Pure Bred Arab Register do not allow the registry of clones. For several years it was uncertain whether the AQHA could upheld its refusal to register clones. The uncertainty ended when the U.S. Court of Appeals for the Fifth Circuit overturned an earlier ruling ordering the AQHA to immediately begin registering clones and their offspring, thus allowing the AQHA to refuse the registry of clones. The view on cloning of animals differs substantially throughout the world. The EU tries to ban cloning completely while the United States and China are fully allowing it. The FEI and most studbooks have a liberate view on cloning as well, making it possible to register clones and to compete with them internationally. When the European Union will ban cloning as well as the import of cloned animals this will mean the end of legal cloned horses in the European Union. The future will need to learn if and when the European Union will ban cloning and what the impact of cloning will be on the horse sport. Written by A. Brouwers, attorney-at-law at Schelstraete Equine Lawyers.